Home / Blog / Training Needs Analysis for Sales People | When, Why and How. Training Needs Analysis is so much more than you might think. Many successful sales teams will undertake a Sales Training Needs Analysis maybe once a year. 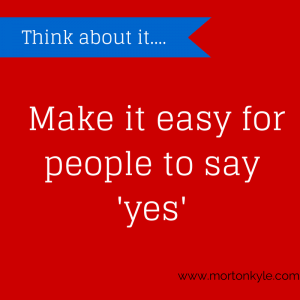 Some maybe only when they think about buying sales training in….sometimes never. 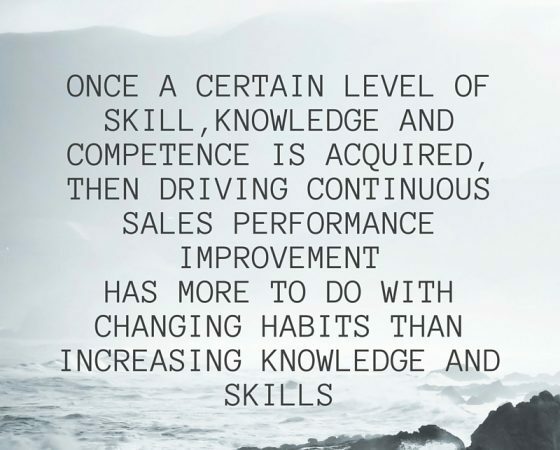 But anyone looking for Continuous Sales Improvements uses Sales Training Needs Analysis in another way, and here’s why. Two of the key areas where you do get to really influence sales results is, firstly, the level of Sales Activity in your team, and secondly, the level of Sales Skills within the team. Both can be controlled. But they can only be controlled if they are measured. But measuring Sales Skills is a whole different board game and one that, by it’s very nature, is measured less frequently, and it tends to be measured more subjectively. Yet the wins in having an ongoing Sales Training Needs Analysis are plenty. I know, how scary is that? Well not as scary as you might think, and here is why. Imagine your activity levels are optimised within the sales team. The target data is as good as you can get (good but not perfect). The only real controllable variable is the sales skills and the attitude of the sales person/people. Assuming it’s a good environment, staff are motivated and the sales process is proven to deliver then the real variable is sales skills. That being the case – there is a direct relationship between sales skills and sales results. It seems obvious. It is. BUT many firms buy into the idea that sales results, or rather, lack of sales results, has more to do with the myriad of uncontrollable factors as opposed to the level of sales skills and sales competency. I want you to get rid of that idea now. Measuring key sales metrics every day is your ONGOING Sales Training Needs Analysis. Why Ongoing Training Needs Analysis is a Good Idea. To really impact the sales results and rapidly improve sales performance there is one single document that you need. A Sales Leakage Report. All the information you will ever need, and all on one page, to rapidly and continually improve every aspect of your sales results and your sales performance. Your Sales Leakage Report is contained in your Sales Insight, the Morton Kyle Fast Action Sales Audit. Think about your DAILY Sales Leakage Report as giving you immediate feedback. Day by day, hour by hour insight into the specific skills development actions you need to undertake in order to directly and positively impact sales. In fact, every single day you get a red light in the key areas of development where you need to concentrate your sales coaching and mentoring. No more wasted time. Maximise sales results in the shortest possible time. If you’ve ever thought that Continuous Sales Improvement wasn’t possible within your business. Think again! Ongoing daily Training Needs Analysis is the fastest way to target growth. You, as the sales leader, manager, coach only spend time on key areas of sales performance improvement. You’ll get continuous alerts to the worst skill set within the sales team. This is broken down by individual, so you are acting with laser precision when you deliver coaching/mentoring/training. Which means turnaround is fast. The sales team don’t feel over managed. The rate of development of the sales team and the individual sales people is rapid. You create an environment of self regulating and self managed sales professionals. And, it’s well within the scope of any sales leader to spend some time everyday coaching. Especially with lazer focus to address what will bring in the easiest wins fastest. P.S. 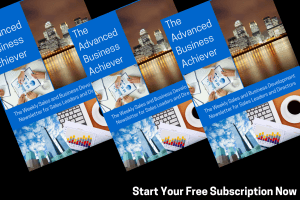 Get your free subscription to The Advanced Business Achiever here, it’s a weekly (non-spam) insights into how to create more sales, faster and with higher margins. This entry was posted in Blog, Business Development, Sales Audit, Sales Training and tagged Business Development, Sales, Sales Coaching, TNA, Training Needs Analysis. Bookmark the permalink.